Sometimes it feels like it happened yesterday then in very next moment you realize the audacity of the time. It happened with me when I saw this beautiful short Gharwali Diwali by Pepsi and Kurkure. The short made me realize what I am missing out nowadays, my Amma, laddoo, chakkari and Gharwali Diwali. On every Diwali, Amma used to make delicious boondi ke laddoo and it was an unsaid rule in the house that no one will touch laddoos or eat anything before Lakshmi Pooja. But who can stop you and your paltan when you are in hunger mode. I guess, no one. We sneak into the kitchen, gulp one or two laddoos, and continue to do that until Amma finds out. It was fun to eat laddoos without getting notice but the real fun starts when Amma finds out half of laddoos are gone. Amma who is busy with her Rama bhajan, now start cursing us, Idhar aao shaitaano, mere Rama ke laddoo kha gaye sabke sab. And I used to taunt her, Shaitan nahi tera Rama hi hu aur Rama ke liye hi to tune laddoo banaye the, tere Rama ne kha liye. It is very irritating for Amma when someone jokes about her Rama, and she used to run with her broomstick behind me, shouting, Idhaar aa shaitaan, main tujhe Rama banayu. And then I used to tease her again, Rama nahi toh Rama ka dusra avatar maan le, Laddoo Gopal. And the tease works as ghee to her rage. Though Amma knows, she cannot catch me by playing fair, so she used to fake breathlessness or she got hurt or something like that. And I dumbfoundingly used to stand next to her, inquiring, Kya hua Amma, jyada lagi toh nahi. Then she used to grab me, and gave me beating with her broomstick. After a minute or two, she used to release me after blurting out Ab laddoo dubara banane padenge and as soon as she releases me, I used to run away from her by shouting Tujh se badla lunga chhoti si moti si budhiya. And it used to make her mad, but she have to make laddoos, she used to leave me. After an hour or so, when she is ready with her fresh batch of laddoos, out of nowhere, she stands next to me, pulls my ear, and taunts ab le badla mere Laddoo Gopal. And I wonder, where she came from. But following her footsteps I used to fake, Oh Amma, it hurts, she also releases me when I do that and ask me not to repeat the mistake. She handle us down the old laddoo batch and warn us to not touch the new batch. And it is deal between us and Amma. 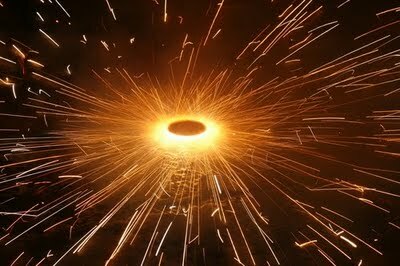 After Lakshmi Pooja, we used to fire crackers, and Amma’s favorite chakkari. Amma used to get very excited when someone fires chakkari. She used to act like a wild child and taunt us hamare zamane me toh bacche, chakkari ke jalte hi uske iddhar udhhar nachne lag jata the aur in darpako ko dekho. And I used to wonder inke zamaane me patakhe hote bhi the or nahi. Nevertheless, it was enough to make us dance along with chakkari, and after realizing that Baba not watching over us, she also joins the party. Though she is not with us. But those moments remain with us. And it was enough to celebrate this Diwali like Gharwali Diwali.